An SEO Strategy Specifically Created For Movers! Search Berg Movers Marketing Will Move You To the Top! Every website needs SEO. Moving companies are certainly no exception. With more than 8 years of experience in movers marketing, we brainstorm innovative strategies for moving companies who want to establish themselves online and generate revenue. Search Berg proudly works with movers across the United States in assisting them with achieving these goals. Organic traffic boosts. More rankings. More online authority. There are no long term contracts and no hidden fees. In fact, Search Berg offers a comprehensive money back guarantee to its clients. If we are unable to rank your website in 30 days, we will refund your project, no questions asked. It’s time to move up in Google! Call us today and find out how our movers marketing techniques can benefit your business. 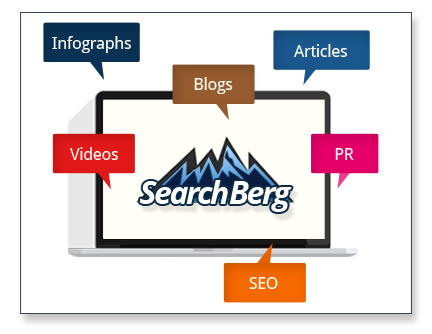 Content Driven Movers SEO For Your Practice That Delivers All the time, Every Time! It’s Time Your Move Up in Google! Hire Search Berg!